When I was five years old I asked for a typewriter for Christmas. I was so excited. I was going to be able to write! When it arrived, it was plastic. It was pink. It was awkward to use; when I chose a letter I had to turn the dial and then it would print. It was awful. I was incredibly disappointed. Here we are more than 50 years later - I can still feel that deep disappointment. Why do I mention this event? Because it shows how I am pushed to write. I will wake up in the middle of the night and have a book or an article or a chunk of text in my head. If I don't get up and write it down, it will keep me up all night. I know from experience that there is no point in fighting it. I have boxes and boxes of journals. I have files and files of journal entries on my hard drives. I have more books unpublished than I do published. And, I have many books in print. Not that the books couldn't get published - more that I haven't even tried yet. I am too busy writing to do the last part - the part that puts the title on, gathers together a Table of Contents, and writes a submission letter. If you're not a writer, I'm sure this all sounds foreign to you; writers will know exactly what I mean. I've been reflecting on what is going on for me as a writer between blog entries. Why are there gaps? Last night, as I finished the last blog entry, I realized what I had been doing between the last blog of 2012 and the first of 2013. Sure, part of it was family time over Christmas. A part of the time was also spent writing journal entry after journal entry about the events in the school in Newtown, Conn. I couldn't talk about it. I couldn't listen to much of the news. But I could write. I probably will never share that writing. Nobody else needs to be burdened with it. Another part of the time was spent in a back-and-forth with my cousins and siblings across Canada, the United States, and Europe as we put finishing touches on a family history that tracks my grandparents back to their engagement in 1904 through to the 110 descendants that came from that marriage - most of whom I didn't know prior to beginning the family history (we were not close to my Dad's family). 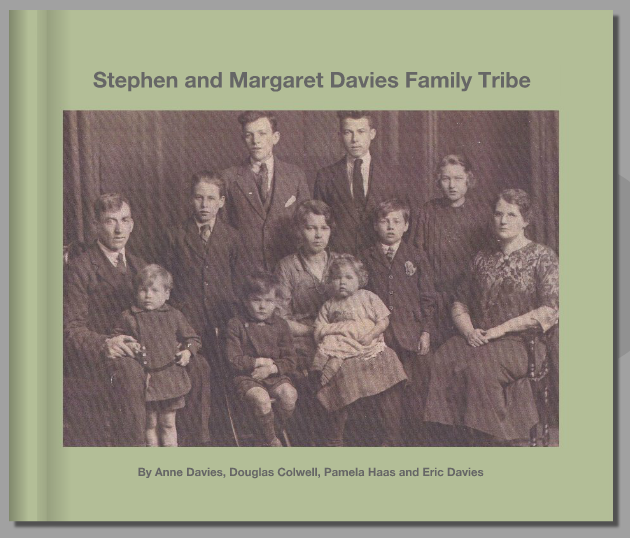 We have gathered 640 photographs, most of which have only ever been seen by one or two people. And we've gathered stories. Lots and lots of stories. 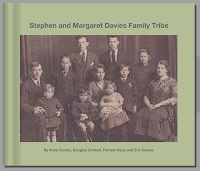 I did a family history for my Mom and Dad and my six siblings a few years ago. 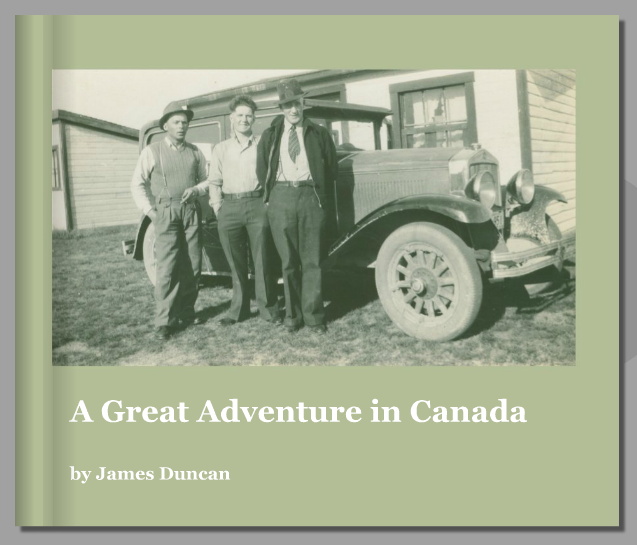 I also did a book about my father-in-law's adventure in Canada as a young man (1936-1938). 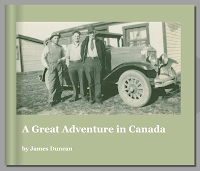 It is a fascinating account of his two years in Canada as communicated through his hand written journal. Again, only published for family. 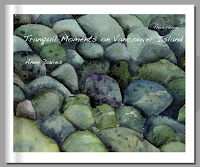 I also spent time working on another book that will feature my paintings. 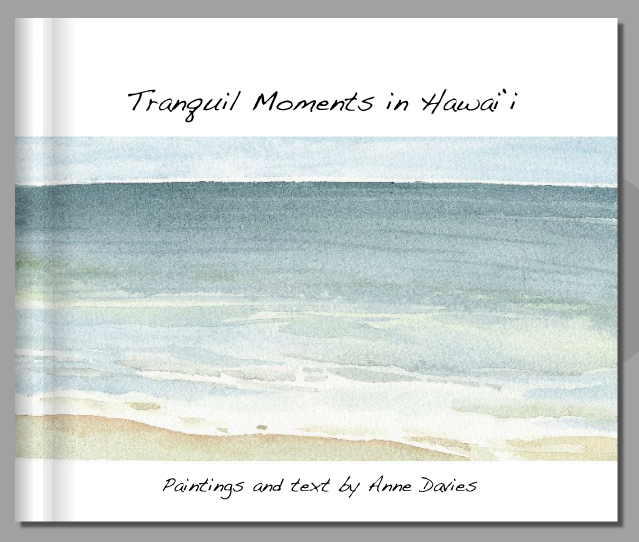 I have two books of paintings already in print (available in local art galleries and through Connections Publishing). It is exciting to gather the paintings of the last few years together and figure out the words that will accompany them. And, I began a book that will feature the photographs of a well-known environmentalist hermit priest who lives in our area. It is rare for this part of my writing life to be featured in this blog as this blog is about learning and assessment.Yet it is writing. The other writing project I've been working on has been underway for more than three years - it is a book written with Sandra Herbst called A Fresh Look at Grading and Reporting. It is now in the final "back and forth" time with an editor and should go to design soon. It will be published in Canada with Connections Publishing and in the United States and internationally by Solution Tree Press. 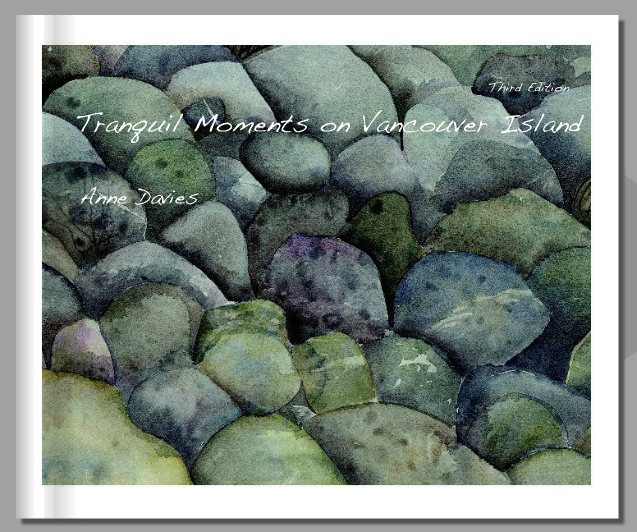 It will take a few months to get into design and in print - but hopefully before summer we'll see that resource. As to the other writing projects related to Education? Well, I've learned not to talk about what I'm writing because I never know how a writing project will go. Sometimes it flies and is completed in no time. Other times it hits a road-block and I have to leave it to simmer for a while. My Mom was also a writer and published author. Her last and biggest project was autobiographical in nature - about being a war bride. It was never published. It isn't quite ready for publication. I regret that her words are not in the world the way I think they need to be. One day I will add my story to her story and it will be published - even if it is just for our family - because who we are and what we value resides in the legacy we leave behind. For writers that means words - maybe in books, maybe not. Even though books may not be as available in the coming years we can use words and images to leave a record of our thoughts, our hopes, our dreams, and our knowledge. As a writer, I believe I have an obligation to add, in a positive way, to the conversation. That means I try to write my way through the complexity of ideas and emotions towards the simplicity that is found on the other side. As Mark Twain said, 'If I had more time I would have written a shorter letter.' It is worth taking the time to write and write and write and publish that which is worth having in print. And for me, that deeply reflective process means a slower publishing cycle. And while this blog can provide a way to get my thoughts and ideas out there - quickly - I have to wonder if my 'stream of consciousness' thinking is helpful or whether it is 'just another source of guilt' - one more thing someone doesn't have time to read. :-) Yet I also know that as I link with many of you through twitter and blogspot I am finding some amazing accounts of life and learning. So, please don't stop writing. We all need to tell our story. Done. My reflections on writing. What about you? What's your story? Why and how do you communicate? You might not know I paint with watercolour paints. It is a humbling experience - always. Someone asked me to tell them about this one of my paintings. It is called "Stretching Beyond Safety." "Oh, it was a mistake,' I said. "What do you mean it was a mistake? I love it." "They are flowers from my daughter's garden. I thought it would be neat to do a taller painting but I only had wide paper so I taped off the left side. Then, when it was finished, it looked awful. So, I broke through the tape and painted beyond. It turned out okay. 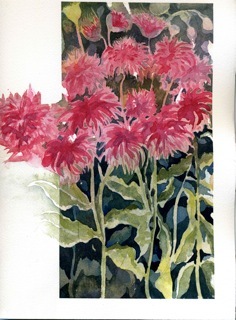 In fact, most of what people say are my best paintings were awful just before they got to be amazing... at least to me... :-) Watercolour painting is about making mistakes and creatively solving them. It is kind of like walking. People write about walking as a constant process of falling down. In fact moving from one place to the other is a process of constantly correcting our mistakes." "You should write about that in your blog - that is what you talk about.... it's assessment in action."